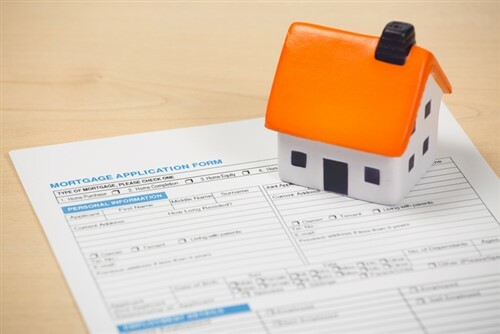 Refinances once again upped their share of all mortgage applications even as the overall total slipped during the week ending Sept. 15, according to the Weekly Mortgage Applications Survey released by the Mortgage Bankers Association. The Market Composite Index, which measures mortgage loan application volume, fell 9.7% from the prior period on a seasonally adjusted basis. The index rose 12% over the same period on an unadjusted basis. The refinance index slipped 9% from the previous week. Meanwhile, the purchase index decreased 11% on a seasonally adjusted basis but hiked 10% on an unadjusted basis. The unadjusted purchase index recorded an increase of 2% from its level in the same week a year ago. Refinances grew to 52.1% of all applications during the period from 51% in the week prior. The share of adjustable-rate mortgages (ARMs) increased to 6.8%. FHA applications accounted for 9.9% of all applications, unchanged from the prior week. The share of VA applications slid to 10.1% from 10.3%, while the 0.7% share of USDA applications was steady from the previous period. With the exception of the 30-year fixed-rate mortgage with jumbo loan balances, average contract interest rates for various mortgage types increased during the covered period. The 30-year fixed-rate mortgage with conforming loan balances saw its average rate increase to 4.04% from 4.03% as points remained at 0.40, including the origination fee, for 80% loan-to-value ratio (LTV) loans. Rates for 30-year fixed-rate mortgages backed by the FHA averaged at 3.97%, up from the previous 3.94%. Points were unchanged at 0.34 for 80% LTV loans. The average rate for the 15-year fixed-rate mortgage rose to 3.35% from 3.30%, with points at 0.44 for 80% LTV loans, increasing from 0.39. The 5/1 ARM recorded an average rate of 3.30%, an increase from the prior 3.17%. Points for 80% LTV loans fell to 0.34 from 0.36. The 30-year fixed-rate mortgage with jumbo loan balances saw its average rate decline to 3.99% from 4%. Points also fell to 0.23 from 0.24 for 80% LTV loans.